It’s your worst nightmare. You choose to get behind the wheel after a little get together with friends because after all, you only had a couple beers. Then the blue and red lights flash in your rearview mirror and you’re faced with a decision. You could try and evade the Arizona police so you don’t get caught for a DUI, but the consequences can be much higher if you still get caught. 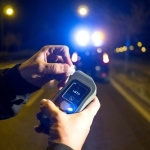 Evading police to try and avoid a DUI can move you from a misdemeanor to a class five felony. Running from the police is always a bad choice, even though it’s a natural instinct to try and avoid criminal charges. Trying to evade police will also make your defense in court more difficult. Regardless of why those flashing lights are in your rearview, it’s in your best interest to pull over, hear out the officer and provide information on your situation. 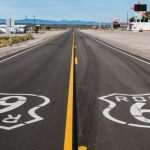 Arizona has a law that covers unlawful flight – A.R.S. 28-622.01. 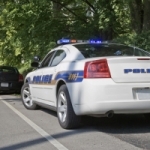 The law says that if a person “willfully flees” or in any way makes an effort to evade the police when the vehicle is clearly marked as law enforcement and has its lights flashing, that person is guilty of a class five felony. 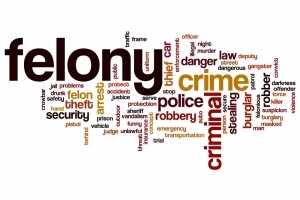 That felony is in addition to any charges that are brought against you for why the police officer was originally trying to pull you over, such as a DUI or speeding ticket. Additionally, when you speed or drive recklessly to avoid police, you put others at risk. That’s because when you break the laws of the road, you’re more likely to collide with another car. If you cause serious injury or death, your situation simply gets worse than it had been if you had pulled over when you saw those lights in your rearview. Furthermore, even if you shake the police car chasing you, law enforcement could further pursue you using a helicopter. Your license plate will be put out on police radio to inform others that you are a danger to the roads, which makes you a target anywhere you go. Chances are, you won’t be able to avoid police inquiry for long, even if you do initially avoid DUI questioning in the moment. If you’re facing your first DUI and have a somewhat low blood alcohol content (BAC), you might only have a minor misdemeanor, minor fines and no jail time. However, if you evade police and are charged with a class five felony, your future looks quite different and will certainly include time in jail. Drivers have tried creative ways to avoid conviction for evading police. One driver drove off after being pulled over and the officer did not pursue the driver. The driver filed a claim that the car had been stolen, but the police officer was able to prove that the owner of the car had been behind the wheel when he pulled the car over. There are various levels of penalties for evading police. If it’s your first offense, your penalty could be lower. A first-time felony offense will require you to spend six months in jail at minimum. This means you have no other felonies on your record. It includes all types of felonies and not just your first time evading police. 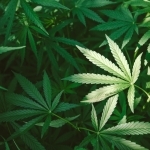 More serious charges can be a two-and-a-half-year prison sentence and fines of up to $150,000. There are a variety of ways that your sentencing can be increased including a history of serious offenses. If you’ve already made the choice and evaded police, you should hire an attorney to defend your case. An Arizona criminal defense attorney experienced in DUI cases and evading police will be able to help you in building a defense. 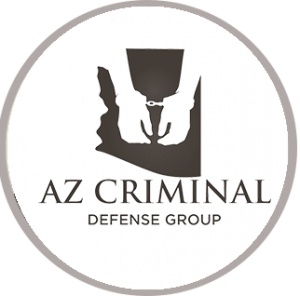 Click here for information on the burglary definition in Arizona.